Michael Arroyo lives in the South Bronx, New York and plays baseball for his city’s all-star team. He pitches really fast, and some of the coaches question his age. The head coaches in the league agree that Michael is not allowed to play until he shows the league commissioner a copy of his birth certificate. One thing that the coaches don’t know is that, Michael has a secret. Michael is originally from Cuba and came to New York a few years ago with his dad “Papi”, and his brother Carlos. After they arrived in New York, Papi took a job as a cab driver. A few months ago, Papi got in an accident and died. Ever since then, Michael has been living with his brother Carlos. Carlos is seventeen, and is turning eighteen next spring. When Carlos turns eighteen, he can take full custody of Michael. Until then, Michael and his brother must lay low from anyone who works for the city, called “Official Persons”. Another problem on their hands is that, they cannot locate a copy of Michael’s birth certificate, so until they find a copy, he is not allowed to play baseball, and with the championship coming, will he be able to play? This book has a lot of amazing plot twist that will blow your mind. At one part in the book, Michael caught a purse snatcher by throwing a baseball at him. A police officer reported it and the news asked to do an article on Michael and asked to take his picture. The news asked Michael to present them his birth certificate. Michael can not back out of this or the official persons will know something is up. What will Michael do? 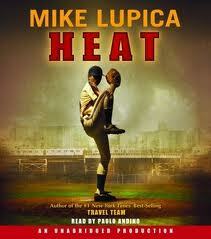 If you are into books such as The Travel Team, The Batboy, or The Big Field, this is the book for you.